PYCC Club membership is a requirement to lease a boat slip. Join the PYCC Cruising Fleet - great way to meet new friends, travel to outside venues and Yacht Clubs. Call the Membership office - 727-381-7922 Ex. 11 or membership@pyccgolf.com for more information. 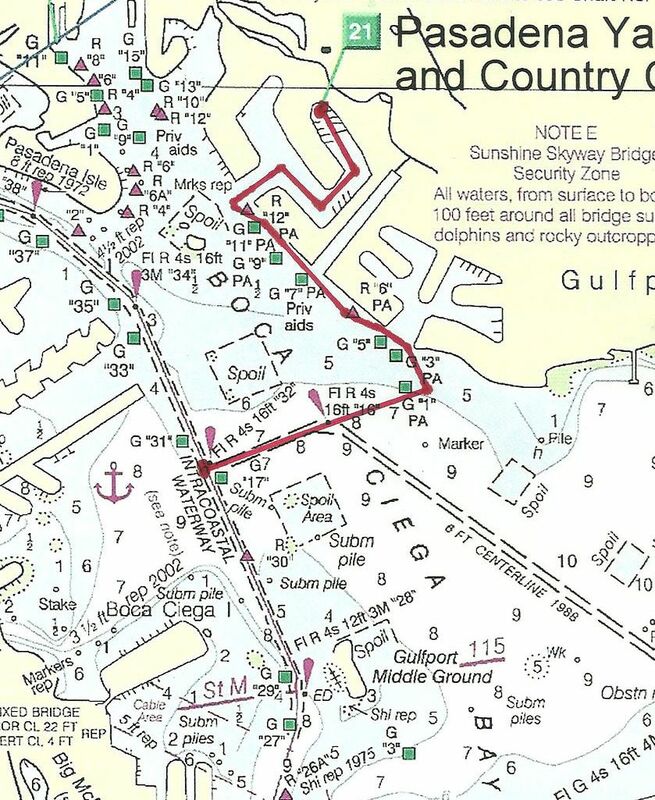 Just a reminder to all boaters - Please treat the entire channel from the Clubhouse marina to Boca Ciega Bay as a NO WAKE ZONE. On high tide you can roll a wave over the seawalls onto someone's back yard and there are a lot of boats that are docked at people's homes. Please treat the whole area as a no wake zone and enjoy the view of some of the finest real estate in Florida. Thank you for your cooperation and have a safe boating day.